This raita not only looks super pretty, it is absolutely delicious too. I just love the shade beetroot gives the raita. It makes a fabulous side to an indian meal or tastes good as a dip. 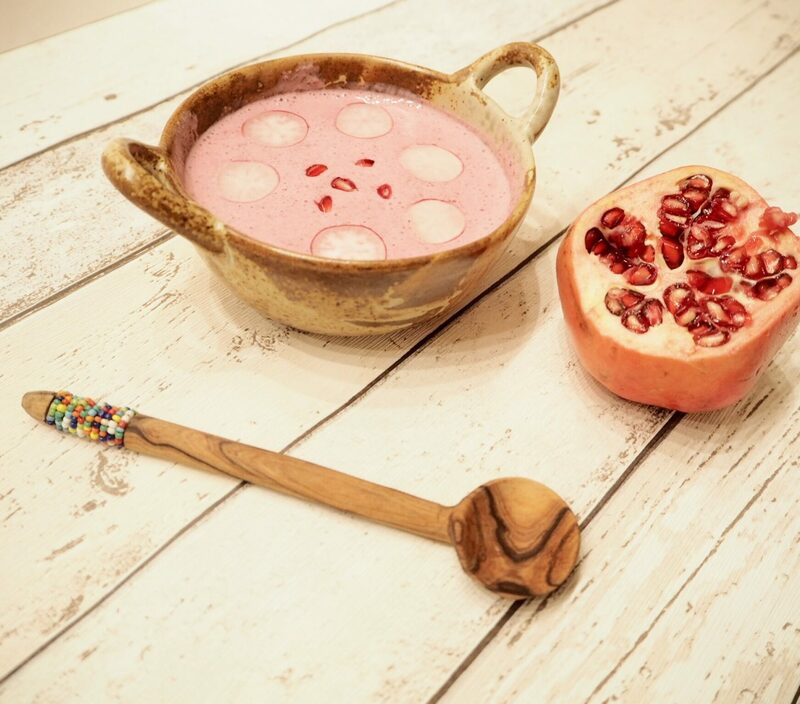 Simply blitz the yoghurt, beetroot and spices and then garnish with the radish and pomegranates.